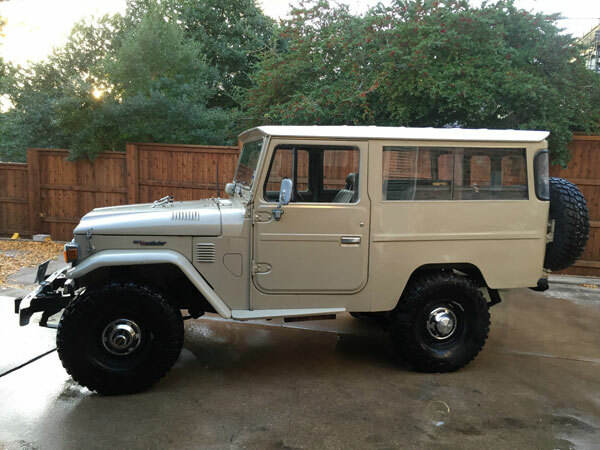 Showing Articles Posted In: "Texas"
Toyota Land Cruiser for sale, this very clean 1974 Toyota Land Cruiser FJ55 factory restored looking for a new owner. This wagon is a very early Series of Toyota modern SUV that’s said to be the subject of a two-year restoration with a lot of factory new parts. All look great in and out still retain its a 3.9 F155 Inline 6 and recently receive rebuilt and to accommodate light adventurous purposes, are fitted a PTO Winch. 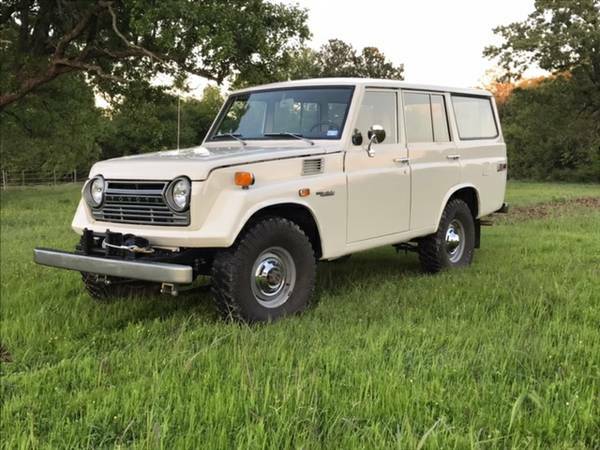 We love FJ55s and this is one of the nicest being offered today. 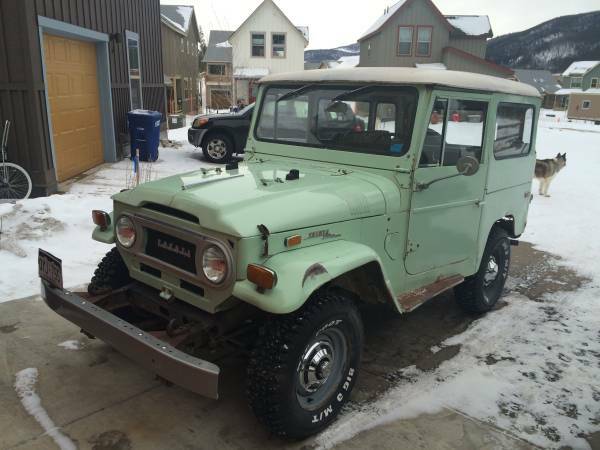 Toyota Land Cruiser for sale, this nice classic offroad vehicle made in Japan, as shown here this Toyota Land Cruiser FJ40 built in 1971 still runs and drives well and is said an original and unrestored example that has lived in Summit for several decades. The truck has few rust, and popping, paint is original inside and out. The frame are is solid with a good shape overall, also the interior is complete and in good condition with the original trim. Toyota Land Cruiser for sale, this one of the long wheelbase classic Toyota Land Cruiser families but is little bit shorter than FJ45 series commonly known as the FJ43, it could be a perfect vehicle as off-road enthusiasm ride. As the picture is run and drive great the FJ43 Land Cruiser built in 1980 has been some modified and custom built come with extended frame. Powered by a healthy 4.2L 2F mated with manual transmission has 43,186 miles on it. All look clean and neat inside and out already offered in Ebay to finding new owner. Toyota Land Cruiser for sale, this a 1985 Toyota Land Cruiser HJ45 Turbo Diesel 4x4 pickup truck, import from Costa Rica in excellent condition, runs and drives very well, ready to work or just a daily transporter. As you are seen here is a 1985 model year has been fully restored and customized to improve its performance and capability. Body is a solid looks perfect with a kevlar coat so no doubt that. The engine is the best part whole of this truck, had many upgraded parts such as a turbo charged and OEM snorkel, coming with 53000 actual miles on it. 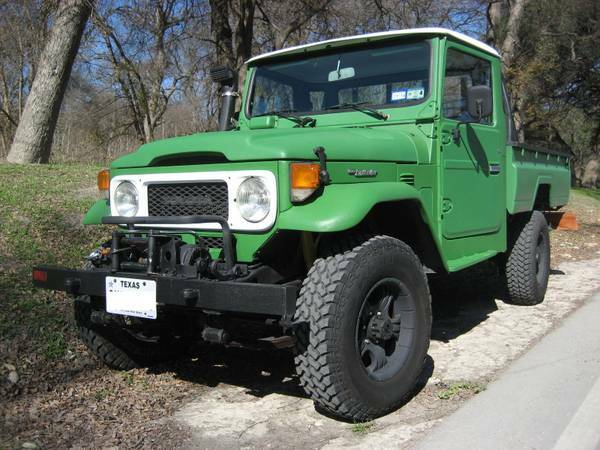 The HJ45 is a long wheelbase of the Land Cruiser variants known as a diesel version of the FJ45. It could be a potential farm truck, no need nothing just drives go to works. Anyway you should come to see itself, if you are really want to buy it.